a problem with your heart without doing any surgery. The heart is a specialized muscle. Like other muscles in your body, it needs oxygen and nutrients. The coronary (heart) arteries deliver oxygen and nutrients to your heart so that it can do its job of pumping blood throughout your body. People with CAD may have one or more coronary arteries that have become narrowed or blocked over time by fatty deposits (also called “plaques”). This can decrease blood flow to the heart muscle. Reduced blood flow can cause chest pain (angina), shortness of breath, and possibly a heart attack. Injured heart muscle can be permanently damaged if the coronary arteries stay blocked for too long. If there is a problem, it’s very important to know about it as soon as possible. Except for a small needle (catheter) that will be placed in a vein in your arm at the start of the test, this is a noninvasive test. That means it does not involve surgery of any kind. You will stay awake and alert the entire time. Typically, you will be required to have 2 sets of images taken by the camera at 2 different times (either later that day or even the next). This is considered normal practice. A small amount of radioactive liquid (called a tracer) will be injected into your bloodstream through the catheter during the test. It is generally accepted that, for most patients, the benefit of the information provided by the test far outweighs any risk associated with the small doses of radiation used. Therefore, not having the procedure done may present a higher risk than having it done. You and your doctor should discuss the risks and benefits of this test and address any questions or concerns you may have. A special camera will take pictures of your heart once the tracer moves through your arteries. These images give the doctors detailed information about blood flow into your heart. They might see that some areas of your heart are blocked and not getting all the oxygen they need. This information will give your doctors a way to decide what steps should be taken next. 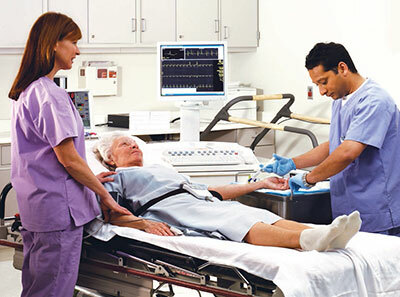 *The technical name of this procedure is myocardial perfusion imaging. Your test will be done under constant supervision from a doctor with the help of at least one nuclear technologist or registered nurse. Electrocardiograph (ECG) leads will be placed on your upper body, and a blood pressure cuff will be used to check your blood pressure. These are all normal monitoring procedures during the test. To help the tracer move quickly through your body and to your heart, it’s necessary to get more blood to flow to your heart. This can often be achieved by a special test known as “exercise stress.” Usually, this means that you may be asked to walk briskly on a treadmill. As the test progresses, the exercise will become more difficult. It is important to follow the instructions provided by your doctor. 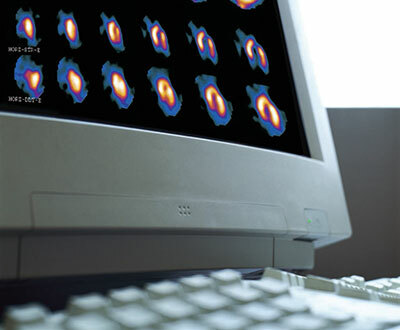 Your heart imaging team will be monitoring you during your exercise stress testing and asking you questions to help them determine if the exercise level you achieve will produce good test results. While you’re exercising, you’ll be given the tracer. You may be asked to keep exercising for a few more minutes. Soon after you’re done exercising, you’ll be moved to the special camera that will take images of your heart. is called “pharmacologic stress”—and it’s used millions of times a year to help produce accurate images. Here’s what to expect. You may be lying down on a hospital cart or sitting in a chair when you receive the medication. You’ll get some injections through the catheter in your arm. These include the stress medication and the tracer. are not uncommon, but if you’re not expecting them, they may surprise you when they start. Be sure to tell the physician or lab personnel how you’re feeling. imaging. Now you’re ready for the images to be taken. The goal is to be sure you’re as comfortable as possible during the procedure. You may still be feeling the effects of the stress medication when you’re ready for the images to be taken. comfortable so that you can be as still as possible so that the camera can produce the images. The camera is large, but don’t worry. It won’t touch your body, and it doesn’t hurt. No radiation comes out of the camera. It’s painless and safe, so try to remain as still as possible for the best test results. One set of images will be taken after the treadmill exercise or after you’ve received the stress medication. Another set of images will be taken while you’re at rest. (The at-rest images may be taken first, followed by the at-stress images. The sequence is up to the doctor.) The other set may be taken a few hours after the first set. Or even the next day. It will depend on the type of test your doctor has ordered. 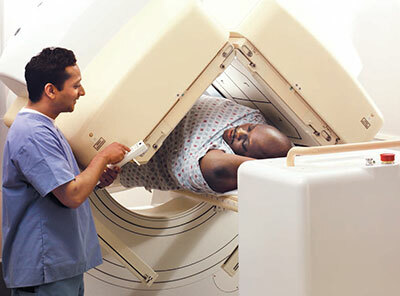 The nuclear cardiologist or radiologist will discuss the images with the doctor who ordered the test. 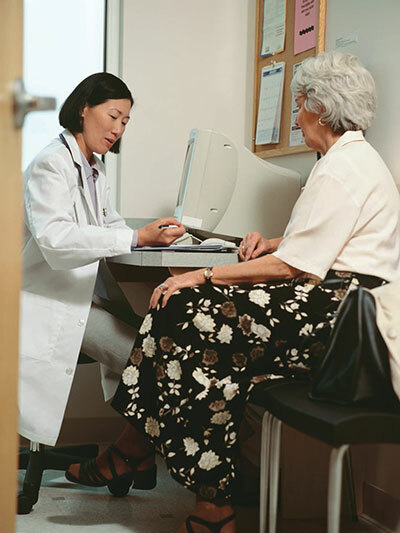 When you meet with your doctor, you’ll discuss the test results and decide what steps to take next. It may include simple lifestyle changes, medications, or even more testing. Be sure to read and understand the steps you should take BEFORE the day of your test. Ask your doctor if you should follow any dietary restrictions before your test. Ask your doctor if you should STOP TAKING any medications you usually take—before the day of the test. If you have diabetes and use insulin or oral diabetes medications, ask your doctor for SPECIAL INSTRUCTIONS. Tell your doctor if you have a history of wheezing, asthma, or chronic lung disease. 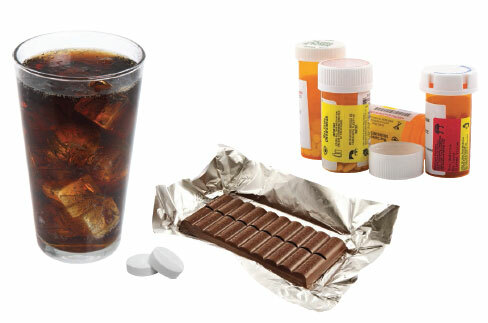 DO NOT consume foods, drinks, or medications that contain methylxanthines (eg, caffeine and theophylline) for at least 12 HOURS before the test. Some medications containing certain ingredients should also be avoided. See the list on the next page for some products you should avoid. 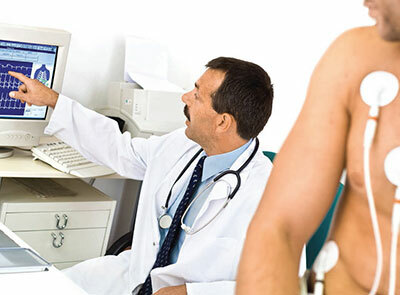 DO NOT apply creams, lotions, or powder to your chest area the day of the test. This is a partial list of what NOT to eat or drink. over-the-counter (OTC) and prescription drugs you’re taking now. Your doctor will then give you instructions. Be sure to talk with your physician. If you have questions, please talk with all of your healthcare providers.